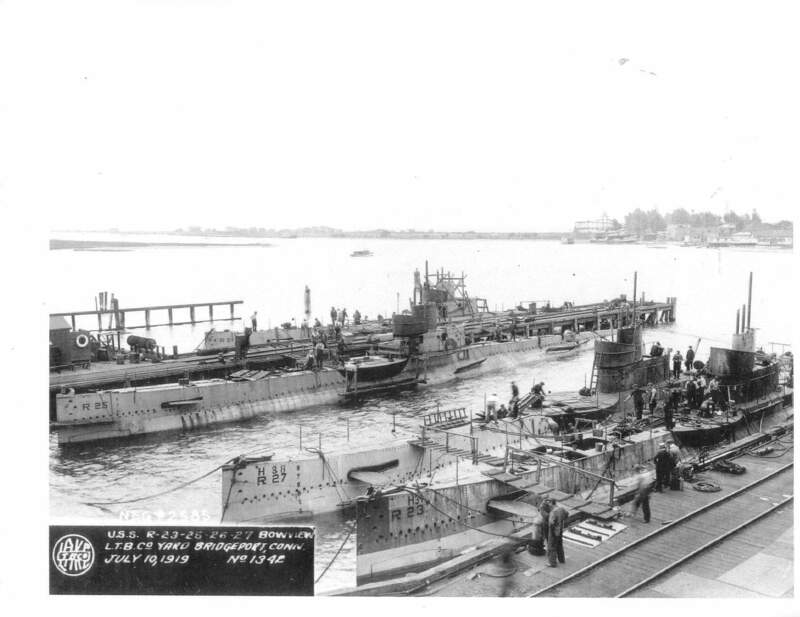 R-21 Class Submarine: Laid down, 26 April 1917, at Lake Torpedo Boat Co., Bridgeport, CT.; Launched, 15 May 1917; Commissioned, USS R-25, 23 October 1919; Redesignated USS R-25 (SS-102), 17 July 1920; Decommissioned, 21 June 1924, at Philadelphia Navy Yard, Philadelphia, PA.; Laid up in the Reserve Fleet at League Island, PA.; Struck from the Naval Register, 9 May 1930; Final Disposition, sold for scrapping, 30 July 1930. Specifications: Displacement, Surfaced: 510 t., Submerged: 583 t.; Length 175' ; Beam 16' 8"; Draft 13' 11"; Speed, surfaced 14 kts, submerged 11 kts; Depth Limit, 200'; Complement 2 Officers, 27 Enlisted; Armament, four 18" torpedo tubes forward, 8 torpedoes, one 3"/50 deck gun; Propulsion, diesel electric engines, Busch Sulzer Brothers Diesel Engine Co., diesel engines, HP 1,000, Fuel Capacity, 17,922 gals., Diehl Manufacture Co., electric motors, HP 800, Battery Cells 120, twin propellers. 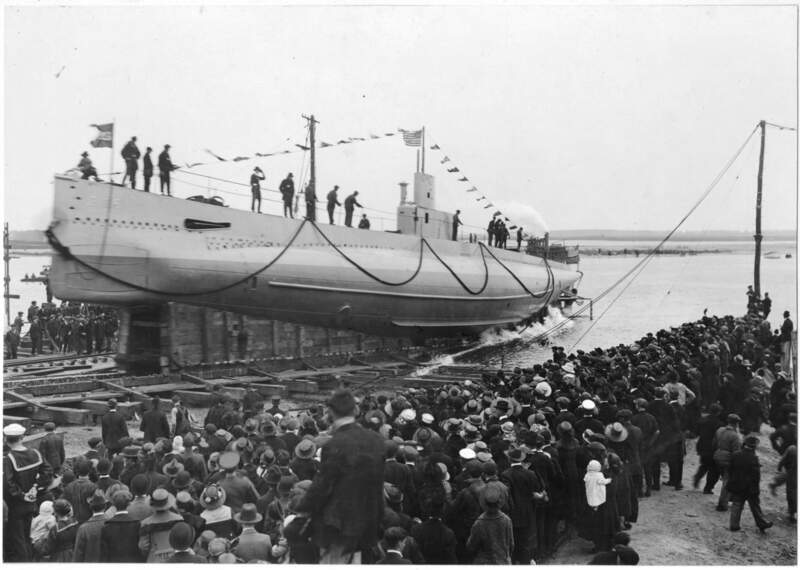 88k Lake's R-boats R-21-27 / (SS-98/104), were the last of his designs to be built in any numbers. He abandoned amidships diving planes in this class, but his characteristics stern remained. The horizontal tube aft is an access tube connecting the motor room to the tiller room aft. Drawing by Jim Christley, text courtesy of U.S. Submarines Through 1945, An Illustrated Design History by Norman Friedman. Naval Institute Press. 222k Bow view of R-boats before commissioning. R-23 (SS-100), R-25 (SS-102) & R-26 (SS-103) were all commissioned on the same day, 23 October 1919. 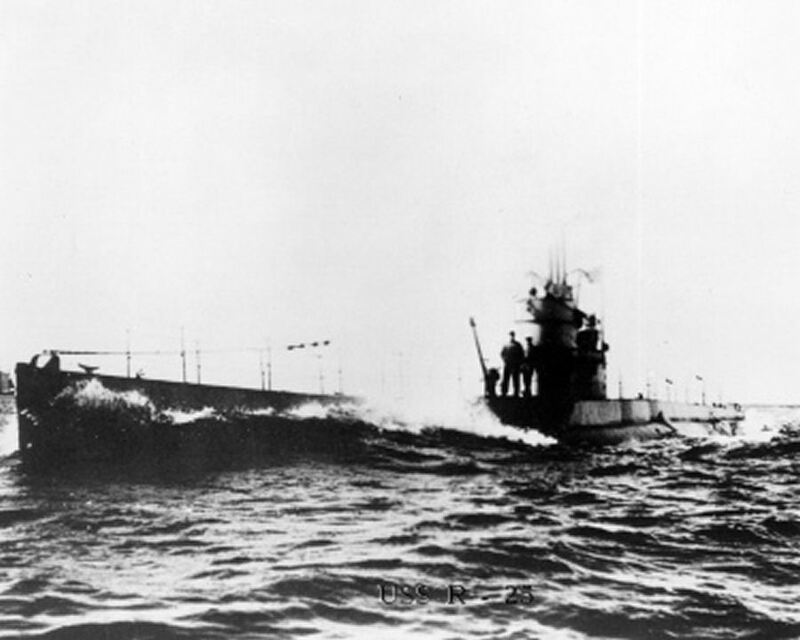 R-27 (SS-104) was commissioned on 3 September 1919. R-23 at Lake Torpedo Boat Co. Yard, Bridgeport CT., 10 July 1919. (NARA), courtesy of Pete Sundstrom. Partial text courtesy of Ric Hedman. 134k PDF entitled "How the Diesel engine came to America." Photo courtesy of subvetpaul.com. 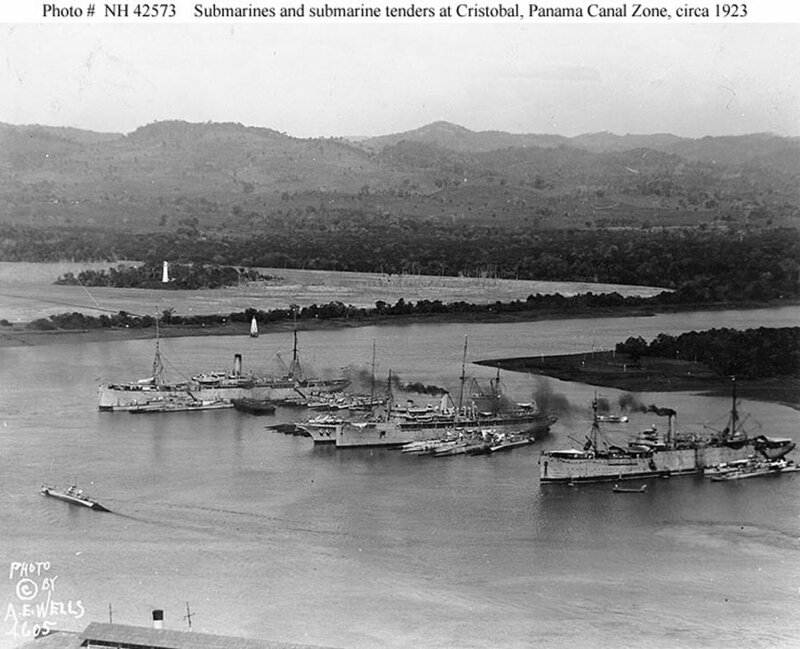 Submarines are mostly R-boats, among them R-23 (SS-100) and R-25 (SS-102), both in the nest alongside Savannah's port quarter. The larger submarine alongside Savannah's bow may be S-1 (SS-105), with her large seaplane hangar. Photographed by A.E. Wells. Courtesy of Commander Christopher Noble, USN (Retired), 1967. U.S. Naval Historical Center Photograph # NH 42573.